De-clutter. Leave only a few appliances on the counter. If you have a nice sized kitchen, three is a good number to work by. A small kitchen would allow for fewer. Put all food and dishes away, and any other small things you leave in the kitchen. If you have glass pane cabinets, make sure you de-clutter inside the cabinet too. If visitors can see it, de-clutter it. Clean. This may be a given, but wipe down EVERYTHING, including above the cabinets, cabinet faces, fixtures, etc. Make sure you degrease around the range and clean the nooks of the fridge. These are little things that people tend to overlook or not notice with the gradual gathering of dust. Highlight the best parts. Center islands and built-in wine racks are attractive features. Highlight them with bowls of fruit, place settings, colorful wine bottles, wine glasses, etc. Add color. By completing steps 1 and 2, you can give yourself the opportunity to tie things together, brighten up the room, and create balance. Canister sets, placemats (at eat-at counters), above cabinet baskets, etc. are great options, but make sure you only do a few and stay in a similar palette. Too much of a good thing can be bad. If you’re looking to upgrade your kitchen, there’s good news! In most cases, 80-100% of the money invested into a kitchen is returned at sale. Of course, the stipulation is that you need to upgrade according to your neighborhood. Brushed copper appliances probably won’t have a good Return on Investment (ROI) in a community of $200K homes like they would in a luxury home community. Nowadays, we’re seeing stainless steel appliances in new condo units. What upgrades should you be looking at? 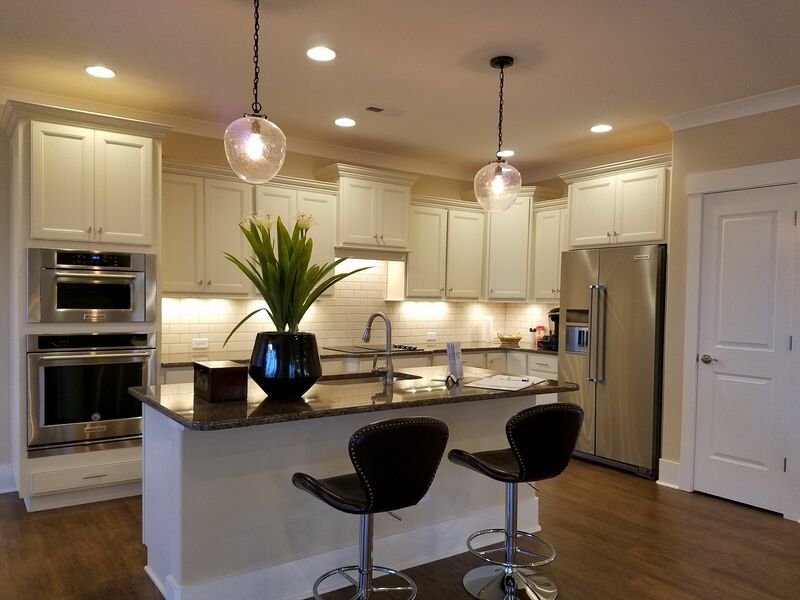 Depending on the state of your kitchen, most buyers would like to see upgraded cabinets, solid countertops, new flooring, fresh paint, and a tile backsplash. The kitchen used to be a room that was hidden away. Now, it’s often the center of family activity. So, buyers want something that will stand the test of time and doesn’t look outdated. Sometimes, all you need to do is repaint your cabinets and update the fixtures (brushed nickel is a safe choice). If the doors of your cabinets are really outdated, but your cabinets are of solid structure, you could probably get away with just re-facing them, which cuts costs considerably. If not, then consider adding more drawers when you fully upgrade. They are extremely popular with buyers. Stained and worn countertops are a big turn-off for buyers, but there are many replacement options. Granite countertops are very popular right now and some companies make them to slide right over your existing counter. You may also consider quartz and solid surface for low maintenance options. Discolored, stained, and damaged flooring can also be a big drawback for buyers. Discolored grout can be cleaned by a professional, but damaged flooring should be replaced. Hardwood is preferred by many buyers, but a low-cost and easy to install alternative is laminate.